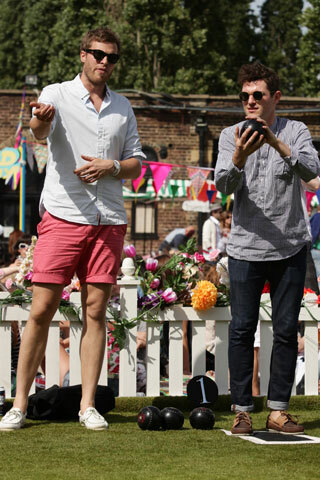 Here it is Mr. Rick Edwards with his rolled pink shorts. Classic summer look, no danger, smart and hot. And the other guy. With rolled panths. the biggest trend of the year. And another clasic, the brown loafers.